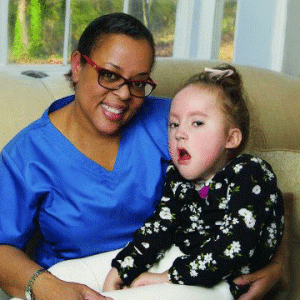 Caring for a child with special needs can be challenging and even stressful. At Aveanna, we work closely with families like yours to meet your needs and incorporate your goals in developing and carrying out your child’s treatment plan. With care, compassion, and clinical excellence, we give each child the greatest opportunity to reach their optimal health and well-being. Private duty nursing provides hourly care to patients where care feels best – in the home. 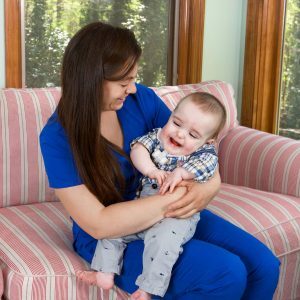 Care typically lasts four to 24 hours a day with our registered nurses, licensed practical nurses, and aides focused on providing excellent short-term and long-term clinical care to medically fragile children. We share a commitment to build partnerships between patients, families, clinicians, hospitals, other care providers, community resources, and payers. We believe in care that is accessible, dependable, compassionate, coordinated, transparent, effective, and trusted. At Aveanna, we’re here to help you get the care you need. Many insurance plans and Medicaid pay for our services, and we coordinate, bill directly, and handle the paperwork ourselves. In other words, we take care of the details so you can focus on your family. When you choose Aveanna, you get the very best. Our healthcare professionals are highly skilled and have met stringent requirements to be Aveanna Healthcare Approved. We bring more than 30 years of experience, and we are recognized as a national leader in pediatric home care. At Aveanna, we believe children are best cared for in a nurturing environment, where loving family members can surround them. We are passionate about working with families and caregivers to help keep medically fragile children in their homes to receive care. A nurse supervisor arrives at your home to perform an initial assessment and fill out the required paperwork. This includes your Plan of Care, Medication Profile, Emergency Plan, and any other information that needs to be prepared. Your nurse will arrive (usually within 24 hours after the initial assessment) to provide hourly care, communicate with your physician when necessary, help show you how to care for your child, and assist you with your other medical care needs. Your home care nurse will document care on our own point of care device, the HOPE device, where available. This will show you notes about the care given. We will ask you to sign off on these notes. A representative from the Aveanna office will contact you and provide you with a nursing schedule, complete with your nurses’ names and the shifts assigned.